Scooper - Technology News: Mothers earn less than women without children. But why? The direct and indirect costs of having children can be high and, in many societies , women most often shoulder these costs . This gap in capital is largely related to employment. German mothers accumulate less wealth because they are likely to stop paid work to care for their young children and, as children get older, return to work part-time . Without full-time employment, women have less income to put into savings. Employment gaps may also reduce long-term earning potential because career advancement becomes less likely . Mothers additionally accrue less wealth if they are unmarried when they give birth; a difference that holds for both single mothers and those living with their partners. This finding suggests that married fathers may be more willing to compensate for their spouses’ income losses, and that married mothers and fathers are more likely to share their incomes . 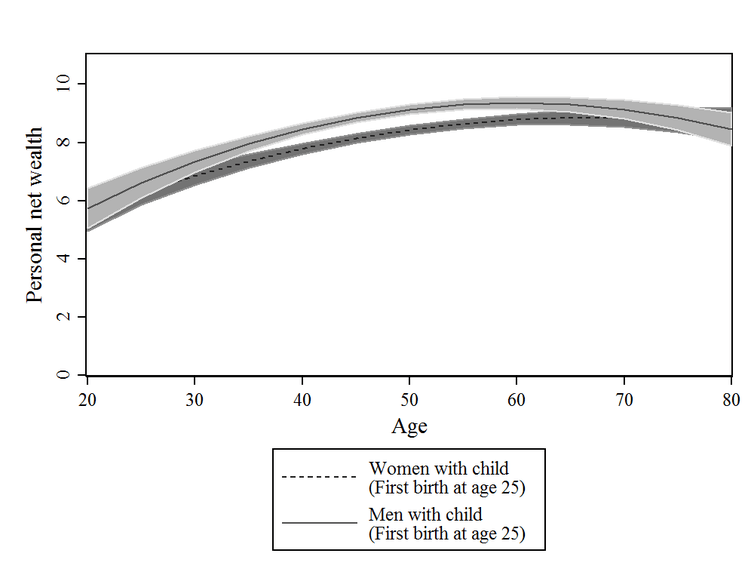 Finally, economic inequality between mothers and fathers can affect children. When mothers have relatively more resources, the well-being of children is improved . If couples separate, gender inequalities within couples may ultimately contribute to inequalities between ex-partners. Our research examined the wealth consequences of parenthood in Germany, where women have achieved equal status compared to men in many respects. Nonetheless, a traditional division of labour , where men are the main breadwinners, still dominates here. Other research, though based on less adequate data, has also found a wealth gap between genders in the United States . Complementary evidence on income inequalities between mothers and fathers have additionally been found in many countries around the world, including China , Japan , Nigeria and the United Kingdom . Gender-based wealth inequality as a result of parenthood may be weaker in more egalitarian societies, such as Sweden . In Ghana, for example, where women’s contributions to marital assets are not recognised, married women own only about 20% of household assets . Similar inequality exists in some parts of India . By contrast, in Ecuador , where women’s legal status is more equal to men’s, wealth inequalities within married couples are negligible. Currently, ambiguous policies continue to hinder female employment . One approach for tackling mothers’ economic disadvantages is to encourage maternal full-time employment, for instance, by providing better access to childcare.